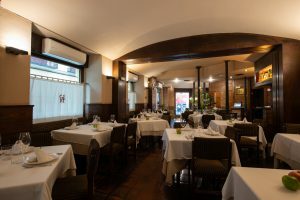 Hailed as the “best steak” in the world by Forbes Magazine Casa Julián de Tolosa is an essential carnivorous experience to savour on the Capital’s gastronomic map as I discovered in the Cava Baja branch. 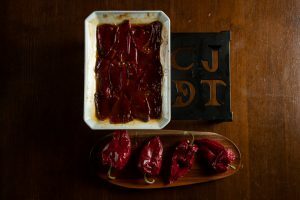 The restaurant owes its origins to a local fruit shop owner from Tolosa, Julián Rivas, who in 1954, decided to replace the sandwich preparation area of his shop with an open barbecue following some tips from a friend who had recently returned from Argentina. After much experimentation Rivas invented the inclined rod grill which is still used in many top quality Basque steak houses or asadores today and set the trend of creating theatre in his restaurant by placing the grill in amongst the diners. In the early years Rivas invited many a doctor and surgeon to his restaurant to discuss the best butchery techniques! 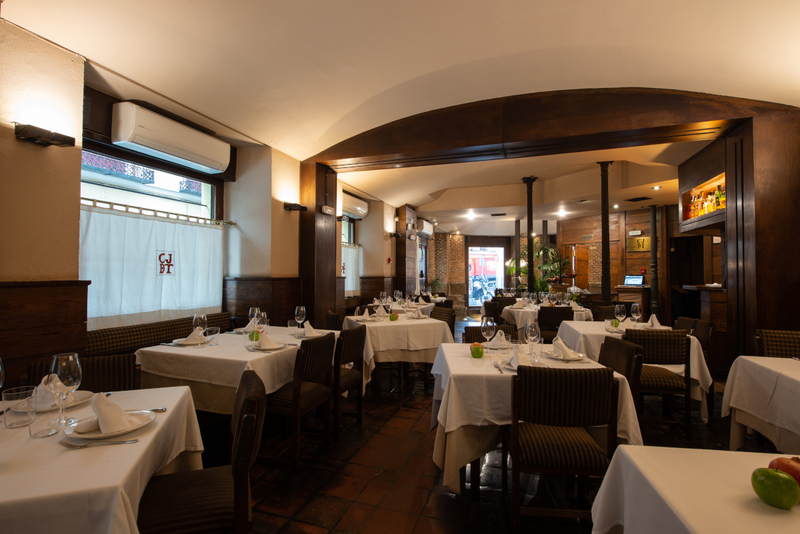 On Rivas’ retirement the Gorrotxategi family took over the restaurant and opened two further branches in Madrid. 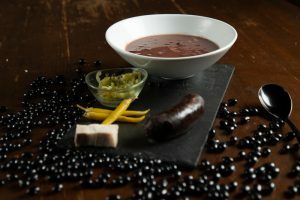 Now, whilst this is predominantly a steak restaurant Casa Julián is also home to the legendary red Tolosa beans from its native Guipúzcoa in the Basque country. These are gently stewed with lots of piggy offerings such as morcilla or blood sausage and served piping hot with spicy pickled peppers known as guindillas. The Gorrotxategi brothers source top quality beef from 6- 7 year old calves that have been hung for an average of 25 days and display the quality hallmark of natural marbling of fat. 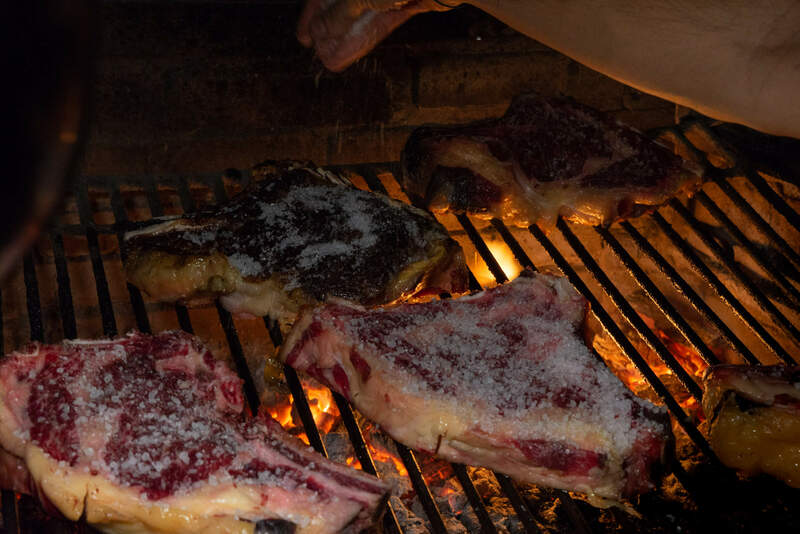 The steaks are brought up to room temperature before being sealed on a very hot brick grill, salted profusely and served up red rare. The exterior is lightly charred and like any good steak that has been properly sealed at the beginning of the cooking process, the juices don’t run out onto the plate when it is served. 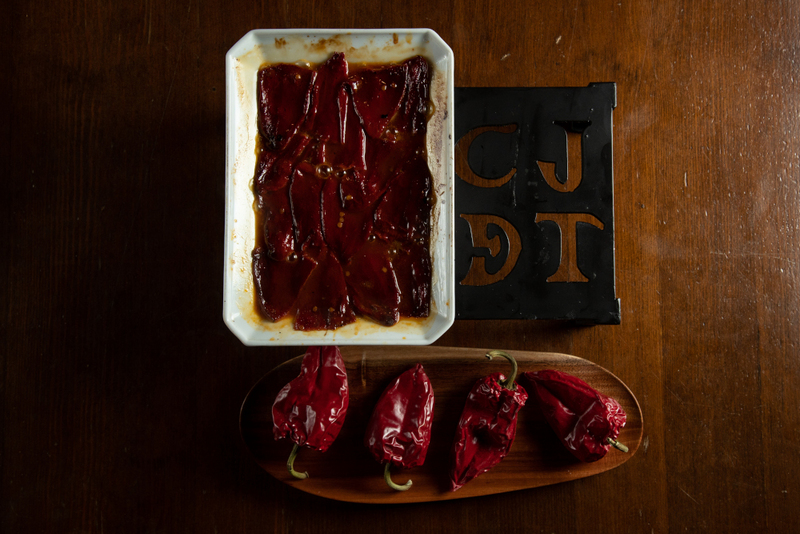 They are locked into the juicy meat and best enjoyed with their signature smoky red roasted pimientos de piquillo. 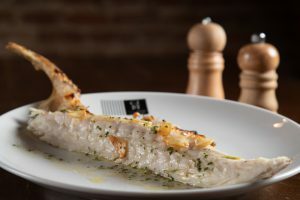 If Moo Moos are not your thing, there is also delicious stewed hake or monkfish to choose from, in addition to plenty of vegetables. I also recommend a starter of wild boletus mushrooms sprinkled with parsley oil that you can dip into a brilliant orange free-range egg yolk to prime your taste buds for the main bovine attraction to follow. The fanfare of traditional homemade Spanish puddings are sorely tempting and include firm favourites such as Grandma’s rice pudding with cinnamon and lemon zest, Cava and lemon sorbet and Tejas and Cigarillos which are similar to brandy snaps, the cigarillo version going one step further in the indulgent calorific quota by being coated in dark chocolate. Those wishing continue down a savoury path will be impressed by the Roncal Pyrenees cheese on offer from Navarra. The wine list is varied and offers plenty of choice to accompany our four-legged furry friends. With valet parking available diners can have a quick wander around the charming traditional barrio of La Latina before herding off home. Finally, it occurs to me that cows have quite a lot in common with children …..
Q: Why don’t cows remember things you tell them? Q: What do cows do in their spare time?